No corporations have been more aggressive in forging their own foreign policies than the big oil companies. With operations spanning the world, they -- and not the governments who weakly try to tax or regulate them -- largely decide whom they do business with and how. In its quest for oil in the anarchic Niger Delta, according to journalist Steve Coll, ExxonMobil, for example, gave boats to the Nigerian navy, and recruited and supplied part of the country’s army, while local police sported the company’s red flying horse logo on their uniforms. Jane Mayer’s new book, Dark Money, on how the brothers and oil magnates Charles and David Koch spent hundreds of millions of dollars to buy the Republican Party and America’s democratic politics, offers a vivid account of the way their father Fred launched the energy business they would inherit. It was a classic case of not letting “attachments” stand in the way of gain. Fred happily set up oil installations for Soviet dictator Joseph Stalin before the United States recognized the Soviet Union in 1933, and then helped Adolf Hitler build one of Nazi Germany’s largest oil refineries that would later supply fuel to its air force, the Luftwaffe. Beneath his broad shoulders, iron handshake, sailors’ oaths, and up-from-the-lower-decks persona, however, lay something far darker. Although not particularly anti-Semitic by the standards of the time -- “Why,” he would say, “some of my best friends are goddam Jews, like Bernie Gimbel and Solomon Guggenheim” -- he was an admirer of Adolf Hitler. From Nationalist officials came messages explaining that, much as they urgently needed Texaco’s oil for their military, they were painfully short on cash. Rieber instantly replied with a telegram -- “Don’t worry about payments” -- that became legendary in the dictator’s inner circles. Not surprisingly, soon after that, he was invited to Burgos, headquarters of the Nationalist insurgency, where he promptly agreed to cut off fuel sales to the Republic, while guaranteeing Franco all the oil he needed. The U.S. neutrality legislation of the time made it difficult for American corporations to sell even non-military goods to a country at war, and posed two major obstacles for Franco’s Nationalists. The law banned such cargo from being transported in American ships -- and the Nationalists had no tankers. In addition, it was illegal to supply a warring country with credit -- and the Nationalists had little money. Spain’s gold reserves were in the hands of the Republic. 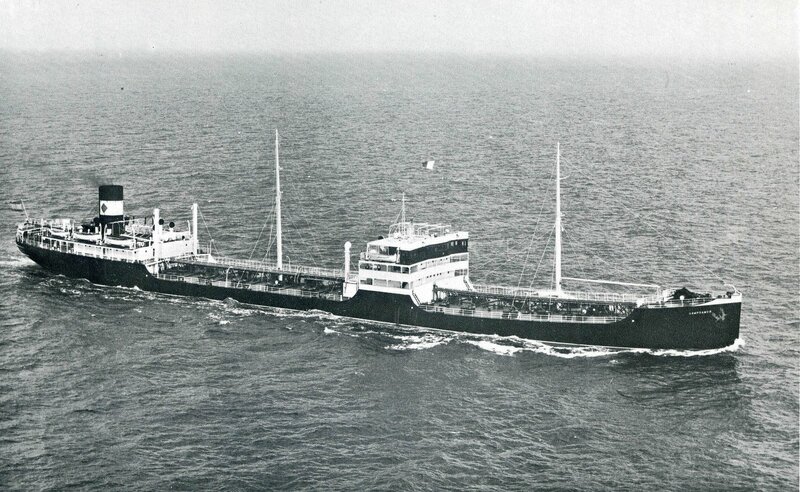 It didn’t take long for American customs agents to discover that Texaco tankers were breaking the law. They would leave the company’s pipeline terminal at Port Arthur, Texas, with cargo manifests showing their destinations as Antwerp, Rotterdam, or Amsterdam. At sea, their captains would open sealed orders redirecting them to ports in Nationalist Spain. Rieber was also violating the law in yet another way -- by extending credit to a government at war. Nominally, the credit was for 90 days (startlingly lenient terms for the oil business of that era). The real terms were far more generous. As one Nationalist oil official later explained, “We paid what we could when we could.” In effect, an American oil company CEO had become Franco’s banker. Unknown to American authorities, Texaco was also acting as a purchasing agent when the Nationalists needed oil products not in the company’s inventory.